A huge crew of fast Canadians made the short trip down to Port Angeles, Washington for the second round of US Pro GRT racing over the weekend. While they may not have traveled far, the visiting riders made the most of their time in Washington. Lucas Cruz won the junior men’s race, with seven Canadians filling in the top 10. Bailey Goldstone matched Cruz, taking top step in junior women’s race. In the pro races, Canadian riders landed two second places and multiple more podium placings in Port Angeles. Trek Factory Racing’s Charlie Harrison may have won the race in Port Angeles, but three Canadian’s flanked the Californian on the podium. Kirk McDowall (Unior Devinci Factory Racing) finished second, just 1.2 seconds off the win. Remi Gauvin switched back to the big bike for a weekend, taking third for the Rocky Mountain / Race Face enduro team. Canadian downhill national champion Magnus Manson (Canyon Factory Racing) landed fifth, just 0.18s of Gauvin’s third place time. 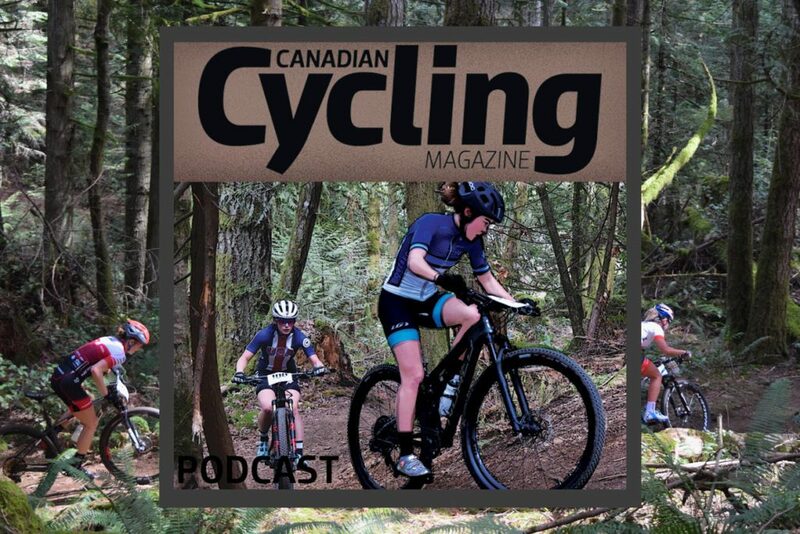 Kendall McLean (Cowichan Cycles) and Simon Tellier added more top-15 finishes for Vancouver Island, ending up 12th and 15th in the Pro men’s race. Whistler’s Claire Buchar (Intense Cycles / Kovarik Racing) finished second in the pro women’s race behind Pivot’s Kialani Hines. Luck Schick (Kona) joinined her on the wide-angle podium in fourth. Kyleigh Stewart (Commencal Canada) added a 10th place to the women’s results. Miranda Miller (Kona Factory Racing) suffered a crash in training that will see her sitting out the next little while. The Squamish world champion, who recently switched her focus to enduro, is hoping to return for the next round of the Enduro World Series. Like at round one in Tennessee, Canadian’s dominated the junior race in Washington. Lucas Cruz of Pemberton, B.C., who recently signed to the SRAM/TLD Racing team with Austrian phenom Valentina Höll, led the charge by winning the junior men’s race. Milton McConville (Blueprint Athlete Development) hopped on the podium behind him in fourth. Jackson Goldstone (Trek), Squamish, B.C.’s own mountain bike sensation, led five more Canadian’s filling spots six through 10 in the junior men’s race. He was followed by Patrick Laffey (Devinci / Gravity MTB), Seth Sherlock (Kovarik Racing), Coen Skrypnek (Extrememe Speed Gravity Team) and Ian Milley (Blueprint Athlete Development), in seventh through 10th. Commencal Canada’s Emmett Hancock added a 13th place to the strong Canadian showing. In the Junior women’s race, another young Canadian landed on the top podium step. Bailey Goldstone (Juliana / Sombrio) of Squamish, B.C. won a close race against California’s Dixie Ownes. Ella Erickson of Idaho followed further back in third. Madison Skrypnek, also of Squamish, finished seventh.